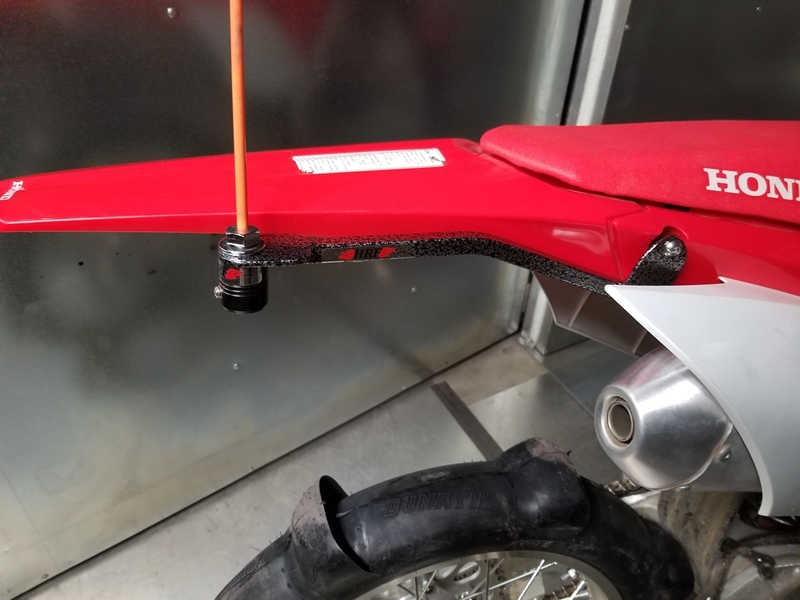 This whip mount is designed specifically for the 2017 - 2018 Honda CRF450R/X. 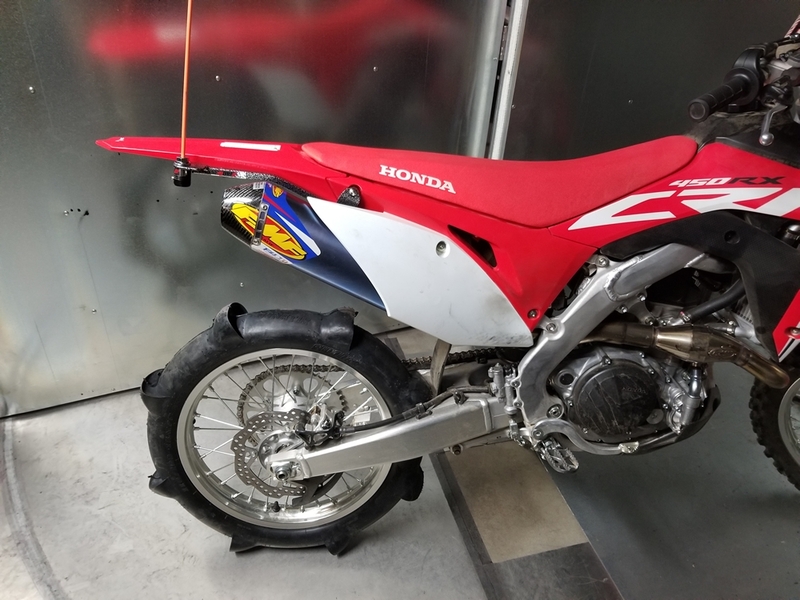 It bolts up on the right side under the rear fender and next the right side muffler. Just remove the right side number plate, remove exhaust bolt and slide the HRF CRF450R whip mount in-between the muffler and the sub-frame. Remove the right side seat bolt and replace it with the supplied longer bolt. Reinstall the exhaust bolt and then the side number plate, then the longer seat bolt. 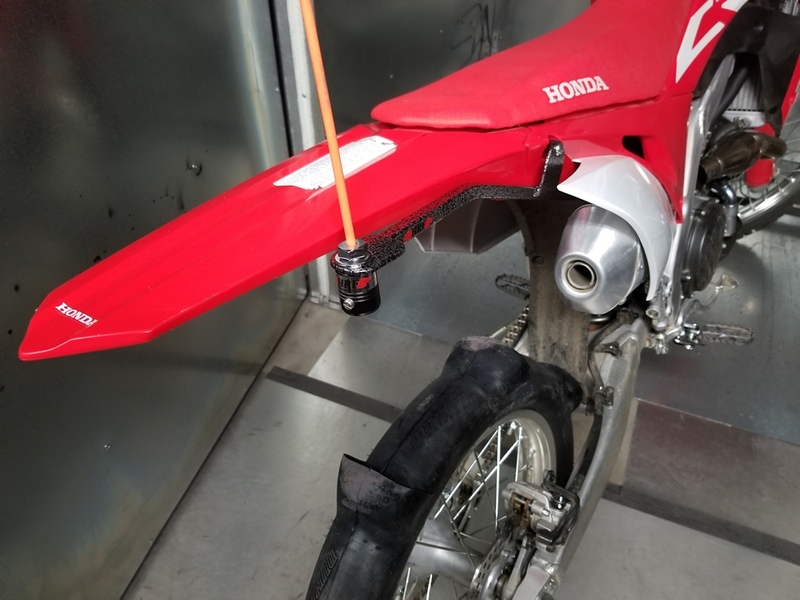 This whip mount has been tested to fit with the stock CRF450R exhaust system and the FMF F4.1 Single side muffler. If you have another brand of exhaust it may or may not interfere with this HRF whip mount.